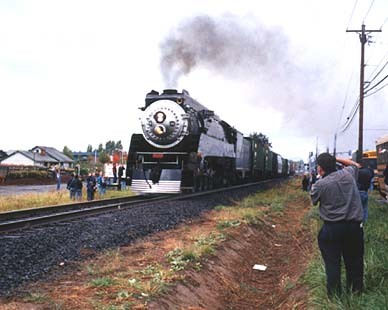 The 4449 made a special run for the attendees of the Southern Pacific Historical and Technical Society annual convention in Portland, OR. 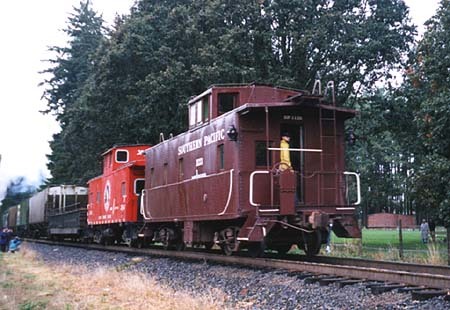 The train had 10 loaded grain hoppers, an open top Willamette and Pacific (W&P) riding car, a GN cupola caboose and an SP Cupola caboose. 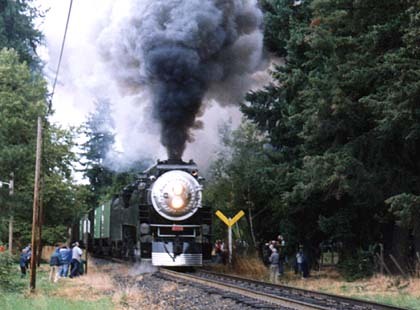 This view shows the 4449 passing by Shute Park in Hillsboro, OR on W&P trackage (ex-SP West Side Line) on its first of four runbys. 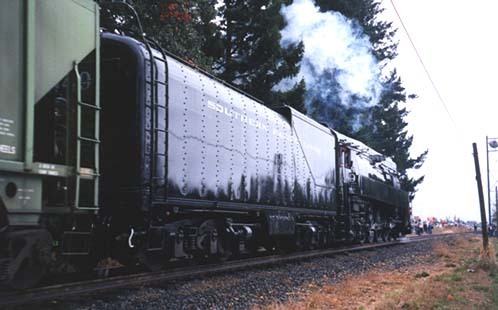 The 4449 is currently all black with the small, pre-1948 Southern Pacific Lines lettering. It also has a WWII-style hood over the headlight. This view shows the tender and the small lettering. Here we see the two cabooses on the third runby. 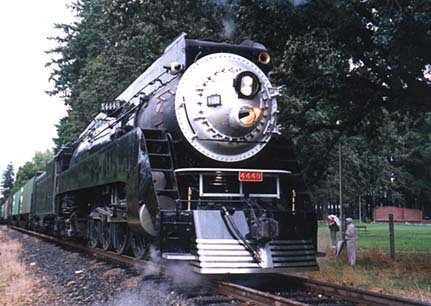 The rain let up momentarily as the ex-Daylight locomotive made the last of the four runbys.